Marcus and Sarah’s wedding was a very small, intimate affair, and I was so blessed to be asked to capture it for them. This couple chose to have a small, meaningful ceremony and reception, and the love that filled the church and restaurant was immense. 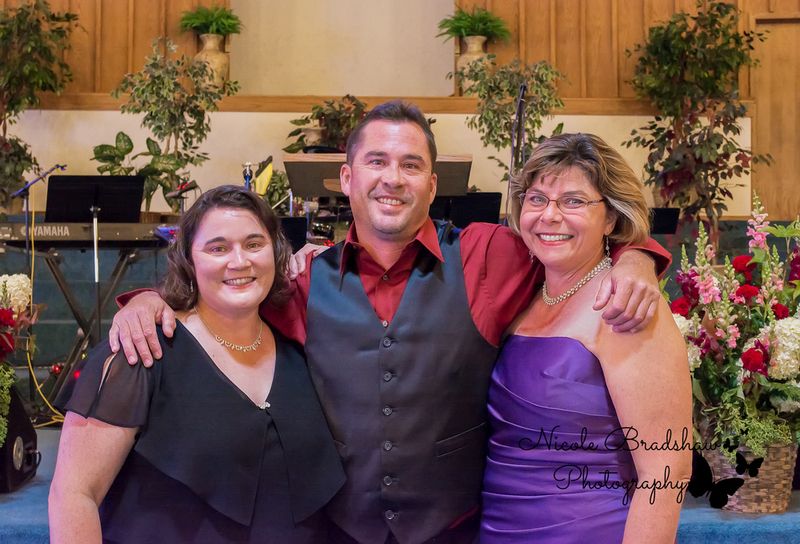 This couple chose to have their ceremony at Eastern Hills Baptist Church. My day started by locating the bride in a wonderful room that seemed to be set aside for the sole purpose of allowing the bridal party to get dressed. After taking some photos of the bride getting ready, I stepped into the sanctuary. 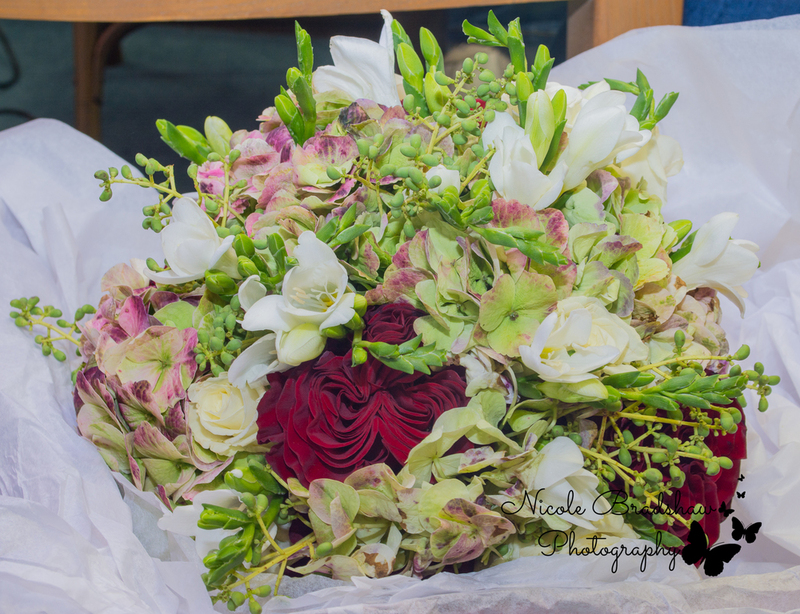 The beautiful floral arrangements, bouquets, and boutonnieres were created by the groom’s aunt. She did an amazing job! I was able to photograph most of Marcus’ fun-loving family before the ceremony started. They shared with me that it is a family tradition to take a nice photo, and then to make the funniest face they can in the second photo. Marcus and Sarah’s ceremony was performed by the pastor of the church. He knew them well, and was able to speak to, and about them eloquently. He cares a great deal for this couple, and it showed how happy he was to be performing the ceremony. Afterward, I was able to get Sarah’s family photos, as well as photos of the entire new family. There wasn’t a wedding party- a choice Marcus and Sarah made to keep things simple. To keep things even simpler, there was a total of about 30 guests- small enough to make it possible for me to get everyone into a single photo! Then, they signed their marriage license. The reception took place at Pelican’s restaurant in Albuquerque. Both Marcus and Sarah are fans of the San Francisco 49’s, and their beautifully decorated wedding cake reflected this. The cake was created by Q’s Cakes. However, there was a Dallas Cowboys fan there, and he chose to represent this. Dinner was wonderful, and the waiting staff was excellent at their jobs. They took care of everyone with grace, poise, and energy. Because Pelican’s is a small restaurant, the dancing was forgone. Soon the toasts were made. It was obvious that their family and friends were happy to see Marcus and Sarah joined in matrimony. I want to wish Marcus, Sarah, and their family a bright and happy future. You guys certainly deserve it!